At Ashley House, we go out of our way to recycle everything and promote the use of recyclable and renewable materials. We are committed to producing printed projects of the very highest quality, in the most cost-effective way for our customers, and pride ourselves on producing these projects in the most environmentally friendly way possible. 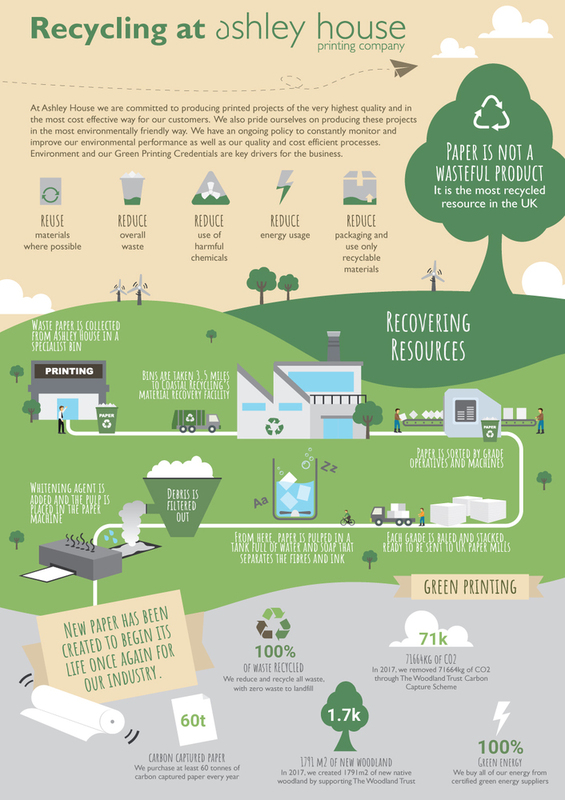 This infographic explains just some of our green printing practices. To find out more about what we&apos;re doing to help the environment, visit www.ashleyhouse.co.uk/eco-printing. If you&apos;re looking for eco-friendly print, get in touch on 01392 202320 or hello@ashleyhouse.co.uk.